BUZZ CONCEPTS and Pacific Cigar Company jointly opened Blind Pig in September 2010, located on the 6th floor of LKF Tower on bustling Wyndham Street, Central. Behind a hidden door marked by a small ‘pig’ emblem with an eye patch and a firm gaze lies Blind Pig, a cigar lounge that evokes the grit of turn-of-the-20th-century London and New York City. 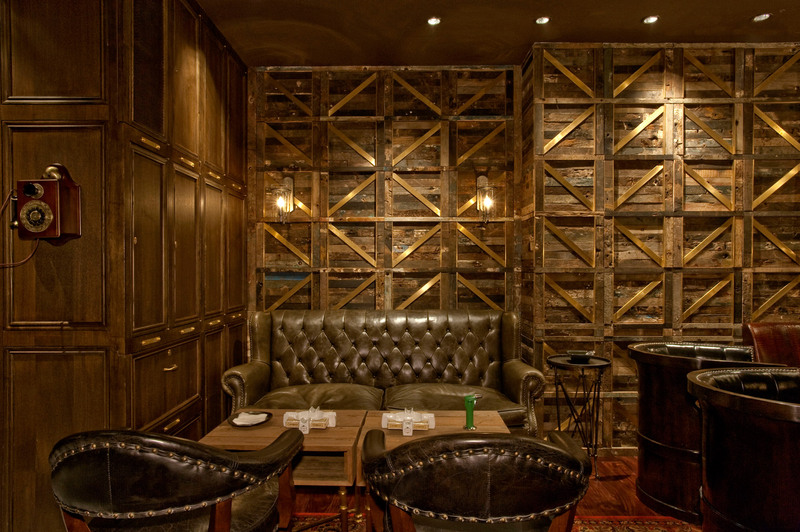 The walls are composed of old wooden shipping crates and delivery truck siding transformed into modern-day private cigar lockers. A vintage pendant light illuminates one corner of the room, while bespoke leather furniture, exposed vintage bulbs, and smokey mirrors lend a timeless patina to the space.